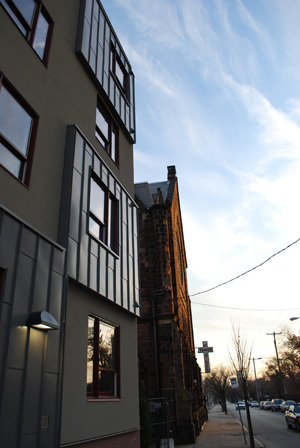 Affordable Housing for Seniors In Northern Liberties. 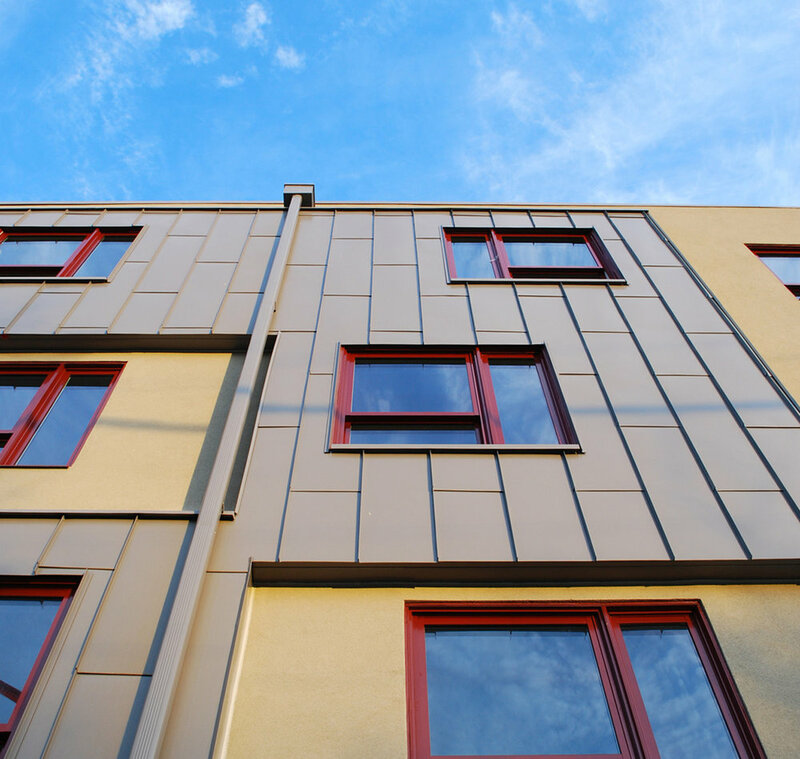 Cyber Village Senior Housing is a green-roofed, high-tech, senior rental residence located in the Northern Liberties section of Philadelphia. Mt. Tabor Community Education and Economic Development Corporation conceived of an apartment building for seniors as part of a larger vision of neighborhood revitalization. Cyber Village provides seniors with high-quality, affordable housing while encouraging resident interaction and connection to the community through the use of technology and the internet. The four-story building features 56 units of rental housing, including 15 accessible units for tenants with disabilities and five for those with hearing or vision impairments. Amenities include a Cyber Cafe, lounges on each floor, a physical fitness center, gardens, a patio, and a multi-purpose / events space, all to promote the building of community within the building. 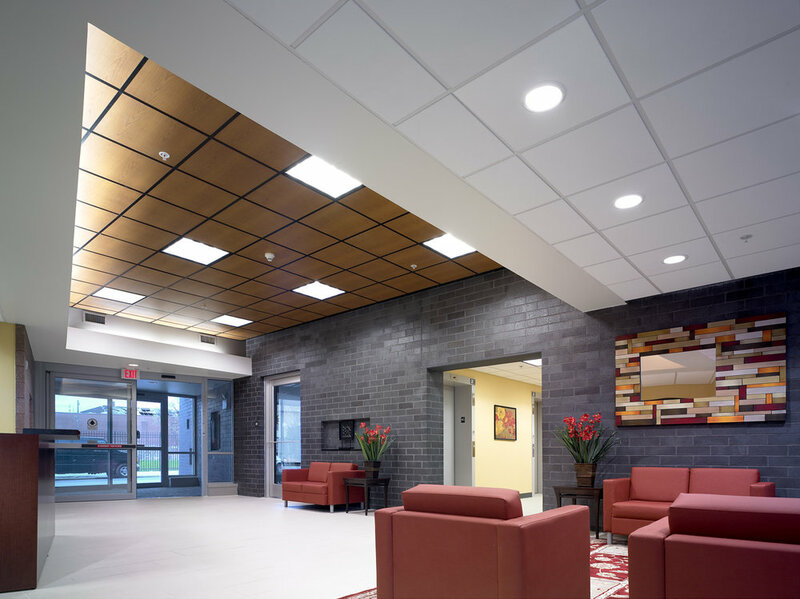 Principal Brian Szymanik served as Project Manager and Project Architect for this project with DLR Group / Becker Winston.